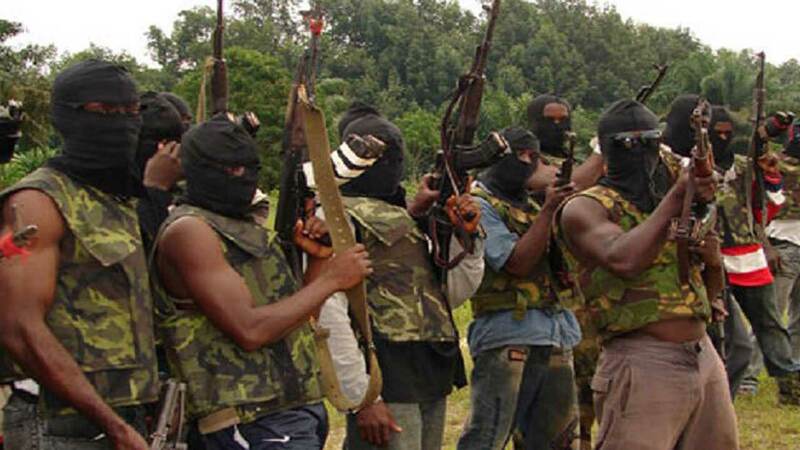 The New Delta Avengers, a militant group, has shelved its threat to launch attacks on oil facilities in Delta State from the midnight of June 30, 2017. The planned attack was to draw the attention of the Federal Government to the alleged starving of oil communities of funds by Governor Ifeanyi Okowa. The militants in a letter to Clark signed by the Ijaw, Itsekiri, Urhobo, Isoko and Ndokwa “high commanders” of the group said they were shelving the planned attack due to appeals by Chief Edwin Kiagbodo Clark and his determination to end the impoverishment of oil communities. They said although they would not attack oil facilities but they would not demobilize their armaments, hardware and men from locations where they have been camping since they were dispatched three weeks ago until they were sure of positive result from Clark’s intervention. They warned that a proper ceasefire would only happen if the governor stopped the marginalization of the oil producing communities in the state. In the letter to Clark the militants wrote: “The NDA has decided to shelve our planned attack on major oil facilities in the region from June 30, 2017. The militants said despite these signals, governor Okowa had continued to accuse them of being foreigners , saying they would prove him wrong and show him and the Federal Government that they are sons and daughters of Delta State. Meanwhile, the Speaker of the Delta State House of Assembly, Mr. Sheriff Oborevwori has assured unpaid contractors to DESOPADEC of the government’s determination to offset their debts. Oborevwori told the aggrieved contractors yesterday in Asaba that the state government was not unaware of their plight. He said the effect of dwindling resources on the government had resulted in the inability to offset the backlog of debts, adding that as things get better the issue would be efficiently addressed. Their leader, Comrade Francis Obule, said the protest became necessary following recent actions by banks, which retrieved their properties used as collateral for loans obtained.